The Ganachakra or assembly of tantric practitioners (literally ‘circle of beings’) is a sacramental feast celebrated by initiates primarily on the 10th and 25th days of each lunar month. This is practiced within the larger context of the sadhana of a Yidam (meditational deity): that of Padmasambhava, Vajrakila or other male deity on the 10th, and Yeshe Tsogyal, Vajrayogini or another female Yidam on the 25th. These dates mark the gathering of practitioners at sacred places on the Indian sub-continent as well as the movement of inner essences and energies to important centres within one’s subtle body, making practice especially powerful at this time. Participation in the Ganachakra (Tibetan: tsok) aligns one with the enlightened energies and realization of the Buddhas, Gurus and Yidams, strengthens one’s practice, purifies negativity, illness and broken samaya, and generates tremendous merit from making abundant offerings to Enlightened Beings, Dharmapalas, local spirits and other beings made during the practice. During a Ganachakra (tantric feast), food is blessed and offered to the Buddhas and meditational deities. Then, after being consumed by those participating in the feast, the leftovers are ritually offered to the local deities, hungry ghosts and other beings caught in the lower realms. Since ancient times, Ganachakra offerings have included five substances beginning with the letter ‘M’ in Sanskrit — the Pancha Makara. These were primarily items that were censured, dangerous or publicly frowned upon: matsya or fish; mamsa or the flesh of animals; maithuna or union (symbolized by the union of the male and female Yidam); madya or alcoholic drinks; and mudra or parched grains. These substances also correspond to the five nectars mentioned in many rituals. In the west, any kind of edible finger foods such as fruit, cookies, cake, candy, crackers, cheese, nuts as well as fruit juice and high proof alcohol can be offered as contributions to this sacred meal. 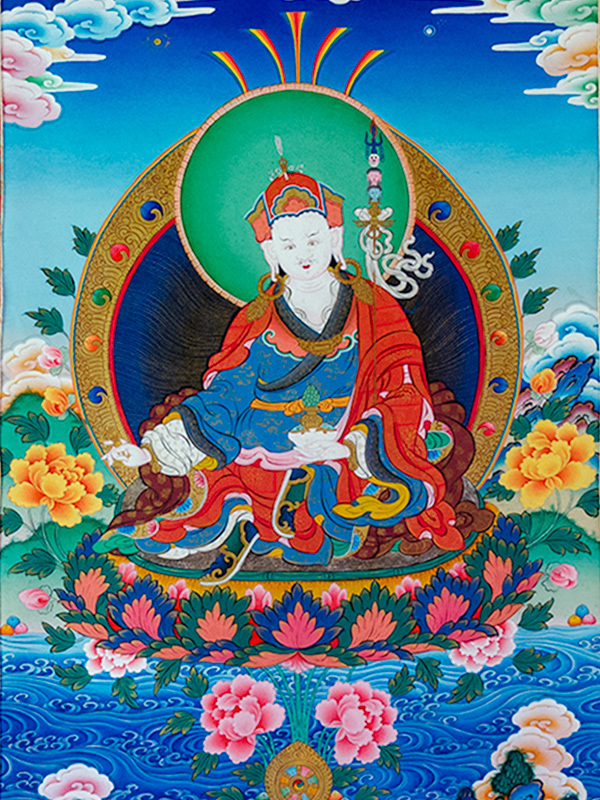 Once consecrated, whatever is offered in the Ganachakra must be seen as sacred, beyond the preconceptions of the dualistic mind, and consumed with no judgements of purity and impurity or good and bad.